Yoga is a beautiful practice that combines, spiritual, mental and physical disciplines. It started in India over 5,000 years ago and has since expanded tremendously to the rest of the world. In the Western world, Hatha yoga (also known as modern yoga) is the most popular. Hatha is the physical practice of yoga poses (asanas). Modern yoga is a combination of yoga and different types of gymnastics. It blends postures called asanas, flowing vinyasas, breathing exercises (pranayama) and meditation. There are over 900 postures in modern yoga and its popularity has turned it into a multi-billion dollar business. There are now several different types of yoga to participate in. Ashtanga yoga, Bikram yoga, Iyengar yoga and restorative yoga focus on aerobic exercise to breathing to proper alignment. Many hybrid yoga styles are also very trendy. Hybrid yoga is combined with everything from martial arts to ballet to acrobatics. You’ll also find power yoga classes that use weights and even goat yoga, which allows you to practice in the company of adorable goats. There have been some debates on the various health benefits of practicing yoga, but scientists have found conclusive evidence that yoga does, in fact, have several health benefits. Some health benefits of yoga include better sleep, increased energy and muscle tone, pain relief, better circulation and healthier heart rate and blood pressure. Yoga also improves strength and flexibility, as well as balance. It can help you reduce anxiety and deal with depression. Some scientists even speculate that yoga can positively effect asthma, diabetes and obstructive pulmonary disease. There are several different yoga retreat options and wellness hotels found throughout Costa Rica. You’re sure to find exactly what you want for you yoga vacation. Get ready for a week of restorative, healing yoga in paradise! Located in the Southern Osa Peninsula, the Blue Osa Beach Resort & Spa is an eco-friendly resort only 50 meters from the ocean. The yoga resort is small, off-the beaten path and perfect place to rest and rejuvenate. You’ll also enjoy a chemical-free pool, full-service spa, 1,350 square foot open-air yoga studio with a view of their private beach. 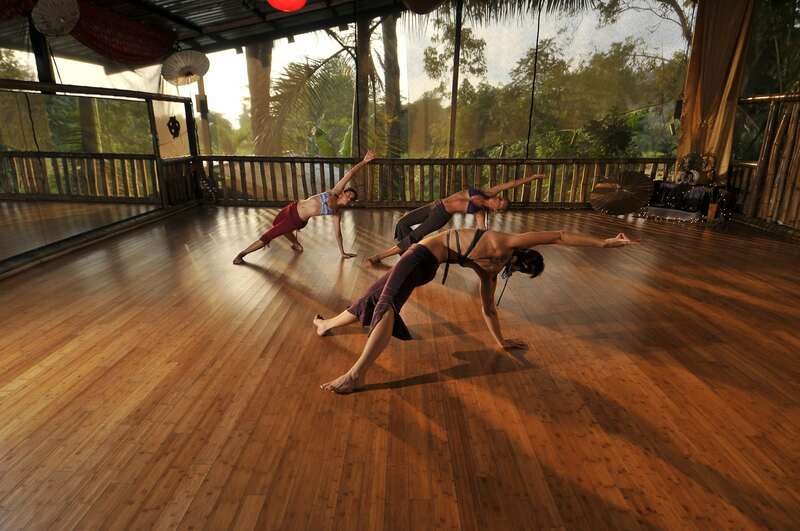 Yoga at Blue Osa is a yogi and eco-tourist’s dream. The organic garden provides fresh, healthy food. Meals are plant-based but include fresh fish and locally-raised meat. Coffee, tea and potable water is offered all day. Blue Osa strives to promote sustainability, life-long, learning and mindfulness. Yoga retreats and teacher training are available. Found in Santa Teresa in the Nicoya Peninsula, the Nautilus Boutique Hotel offers two daily open yoga classes for guests and private lessons upon requests. They also offer regular teacher training opportunities and yoga retreats. If you’re interested in surfing as well, Nautilus is perfect for you! Playa Santa Teresa is a famous surfing beach and you can get blood pumping with a morning of intense surfing before participating in one of the hotel’s daily yoga classes. They offer Ashtanga, Hatha, Vinyasa, Power Vinyasa, Kundalini and Yin and Restorative yoga classes with world-class instructors from 9:00-10:30am and 6:00-7:30pm. Hotel amenities include a restaurant, yoga studio, swimming pool, private terraces, surf board bike and quad rental, pilates and surf classes, in room massages and free parking and free wifi. The Bodhi Tree Yoga Resort is located in Nosara—one of the world’s blue zones! It is one of Costa Rica’s most popular yoga hotels. In addition to community and private yoga classes, they offer yoga retreats, training and workshops, surfing retreats, pilates studio, gym, spa and indoor cycling. The yoga classes offered include Hatha & Meditation, Vinyasa, Free style, Slow flow, Surf yoga, Mindful yoga, Yin, Restorative, Sunset Yin. Other fitness classes include belly dancing, kids yoga, Tai Chi, Power yoga, Aerial fit, Yogalates, Latin dance and Core explore. 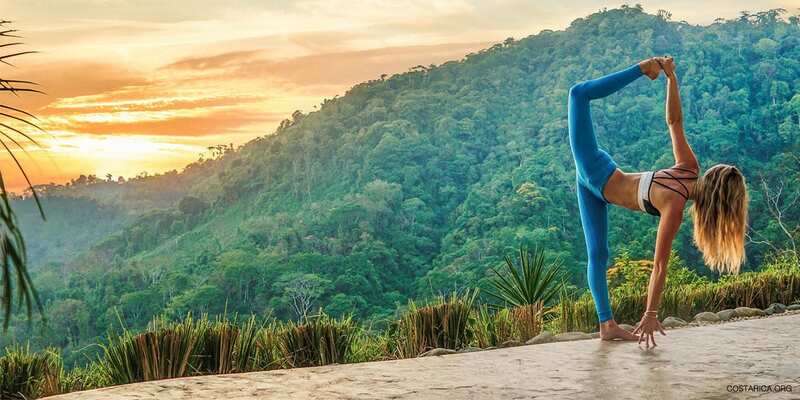 Restore and rejuvenate your mind, spirit, body and soul amidst the lush vegetation of Costa Rica rainforests, challenge your muscles in front of the majestic Pacific coast, and become an expert in relaxation at a Costa Rica yoga Spa in Nicoya. Your life will never be the same after your yoga retreat and vacation in Costa Rica!